This GROHE Eurosmart kitchen tap has all the usability you could want, and a range of handy features such as the 200mm spout with swivel action. 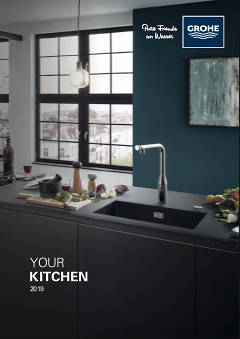 Presented in GROHE StarLight chrome, this wall-mounted tap is effortless to maintain and gives off an alluring sheen that will be an aesthetic focal point in your kitchen. The GROHE SilkMove cartridge lets you vary water temperature and flow with ease and precision. And thanks to our easy installation system, mounting your tap will take no time. It also boasts an ergonomically designed lever and a built-in temperature limiter that offers safety from scalding, making this handy sink mixer the ideal kitchen option.